Some of the greatest wonders of our world face the very real prospect of vanishing entirely because of the climate crisis. Many of the places we hold dearest are under siege. Not by conflict, necessarily, at least not in the conventional sense. But in a way, they are being held ransom too. Our earth is home to incredible beauty, both natural and man-made. Temples tower over cities and poke through tropical canopies; the sun cuts across ancient seas that shimmer like a million diamonds; rivers meander through mountains and deserts, leaving vast canyons in their wake; and incredible feats of human ingenuity abound, from the Empire State Building and Golden Gate Bridge to Dubai’s sky-high Burj Khalifa. But the effects of the climate crisis put all that magnificence at risk. To the majority of Americans who know that our climate is changing and support commonsense solutions, this comes as no surprise. Australia’s Great Barrier Reef is dying, the victim of warming seawater temperatures and ocean acidification largely caused by increased CO2 emissions. Glaciers all around the world, from Montana’s Glacier National Park to the Swiss Alps and Patagonia, are melting. Sea-level rise could swamp iconic destinations like Coney Island, Kennedy Space Center at Cape Canaveral, and Old Havana along with cities across the globe. Some of the greatest wonders of our world face the very real prospect of vanishing entirely. But not all inspire the same flurry of think pieces. Below, check out five less-talked-about treasures, both natural and built by us, far-flung and readily reachable, we risk losing to climate change – if we don’t take action now. The climate in Mali is already unforgiving – long stretches of hot, dry weather punctuated by torrential rains. But our warming world is making it worse. 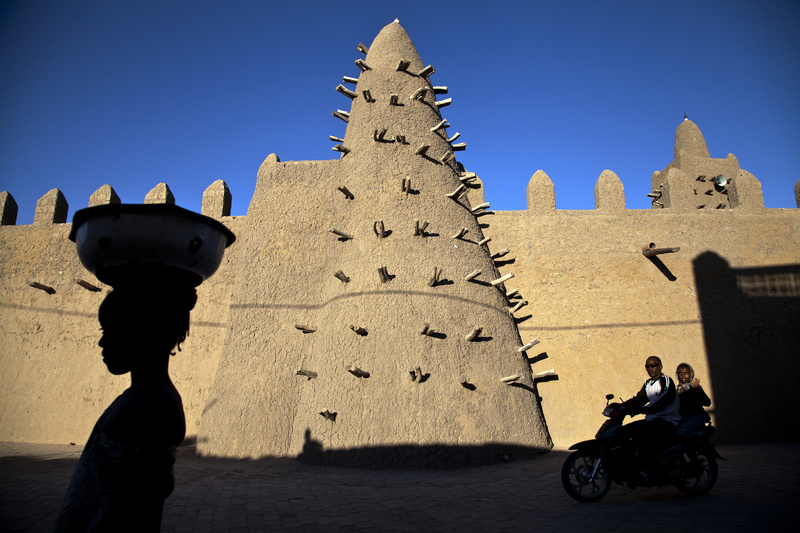 The three great mosques of Timbuktu – Djingareyber, Sankore and Sidi Yahia – date back to the fifteenth to sixteenth centuries and together are a UNESCO World Heritage site. They are unique historical monuments that remind us of Timbuktu’s place as the one-time intellectual and spiritual capital of Islam in Africa. They’re also incredibly fragile, constructed almost entirely of earthen materials like mud bricks and straw. And while they’ve weathered their fair share of desert storms, climate change – with the ever-rising temperatures and extreme rainfall events it brings – is pushing them to the brink. Sea-level rise imperils one of Earth’s most mysterious places. Easter Island, the most remote inhabited island on the planet, is home to iconic moai statues, colossal monolithic human figures carved centuries ago by the Rapa Nui people. The statues are said to represent their deified ancestors and dot the island’s perimeter, some surveying the sea while others gaze inland to keep watch over their clan lands. Many stand on platforms called ahu. Erosion is already taking a toll on Easter Island and its famous monuments. 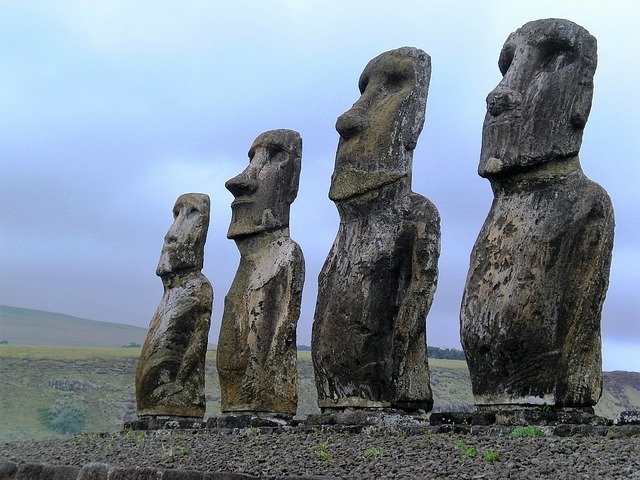 Now, as sea levels rise and storms become more powerful, accelerated by climate change, experts fear the beaches and cliffs holding these towering achievements will be inundated or simply crumble, taking the ahus and moai with them into the ocean. 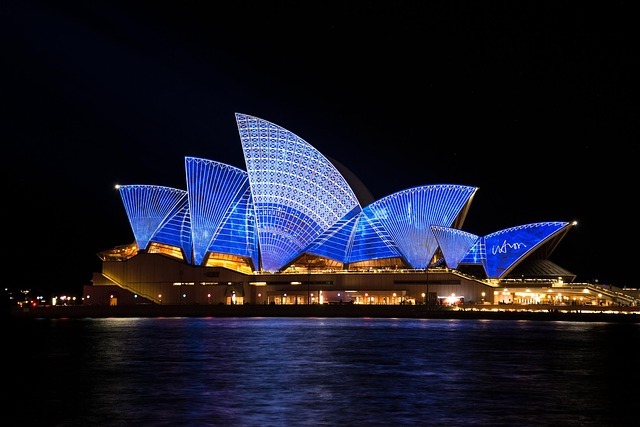 Considered a masterpiece of twentieth-century architecture, the Sydney Opera House sits on a small peninsula that juts into the city’s 11-square-mile natural harbor. The visionary building, comprised of three groups of white-tiled, interlocking vaulted “shells,” sits just 11 feet above sea level. The Dead Sea, a popular Middle Eastern destination famous for high salinity that makes swimmers especially buoyant, purported therapeutic benefits, and religious significance, is disappearing at an alarming rate. Rising temperatures and steep declines in rainfall have made fresh water an ever-scarcer resource in much of the Middle East. All while explosive population growth and urban development has created greater and greater demand for fresh water. 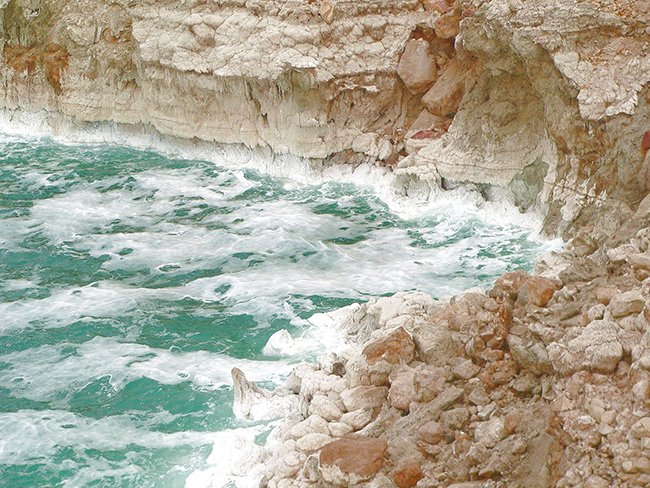 This has created an existential problem for the Dead Sea. With the region in the middle of a historic drought, the Jordan River – the Dead Sea’s near-exclusive source of fresh water – has been tapped more and more for human use, limiting the water flowing into the sea. And it certainly doesn’t help that the Dead Sea itself is especially vulnerable to climatic changes in rainfall and temperature. “All the observations show this region is one of those most affected by modern climate change, and it’s predicted to get dryer,” Yael Kiro, a geochemist at Columbia University’s Lamont-Doherty Earth Observatory and lead author of a 2017 study about past major drought events in the Middle East, told Paste magazine. Conditions in California’s Joshua Tree National Park are already pretty hot and dry, but climate change is set to make them even more so. “As the Earth continues to warm, scientists project that the Southwestern United States will become hotter and experience more frequent and harsher droughts and wildfires. These conditions will likely affect the populations and home ranges of many species at Joshua Tree,” according to the US National Park Service. Indeed, they could spell the end of the park’s namesake tree itself. 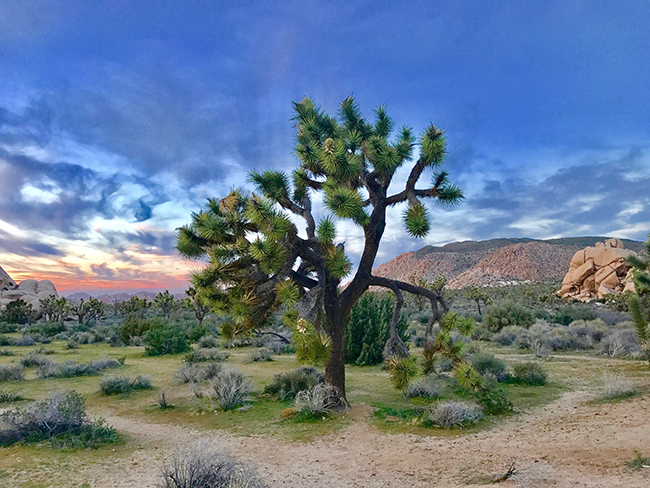 Joshua trees have long thrived in California’s Mojave Desert – home to much of the park. But shifts in the area’s climate are causing older trees to sag, and at the same time, newer trees are becoming increasingly rare. Seedlings, however, are not so lucky: Before they’ve developed their elaborate network of roots, young Joshua trees require more regular rain events to establish themselves. With temperatures rising, accelerating the evaporation of the precipitation that does fall, and droughts becoming more frequent across the US Southwest, new trees have been unable to adapt to this dire new normal. But it doesn’t have to be this way. If you want your grandchildren and their kids to see the same incredible world that you do today, take action now to fight the climate crisis by joining our network of incredible everyday activists. 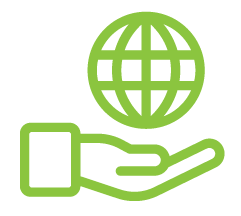 All around the world, our Climate Reality Leaders are working for the future we want, organizing rallies, meeting with policymakers, launching social media campaigns, and so much more. Our program takes great leaders and makes them exceptional, providing training in climate science, communications, and organizing to better tell the story of the climate crisis devastating our planet – and the solutions that will save it. Becoming a Climate Reality Leader begins with attending a three-day training led by former US Vice President Al Gore. Sign up now to receive information about our next training event as soon as it is available!